Although I've been a blogger since 2005, I always consider myself a non-techie. So... for all of you who are much more in tune with the tech toys of today... I've finally arrived. You can breathe a sigh of relief. And for those of you who are not quite there yet, let me assure you that it's a lot more wonderful - and way easier - than you can imagine. Yesterday I wrote about the latest technology that actually tracked my lobster purchase from the time & place it was caught, until it reached my table - less than 24 hours! 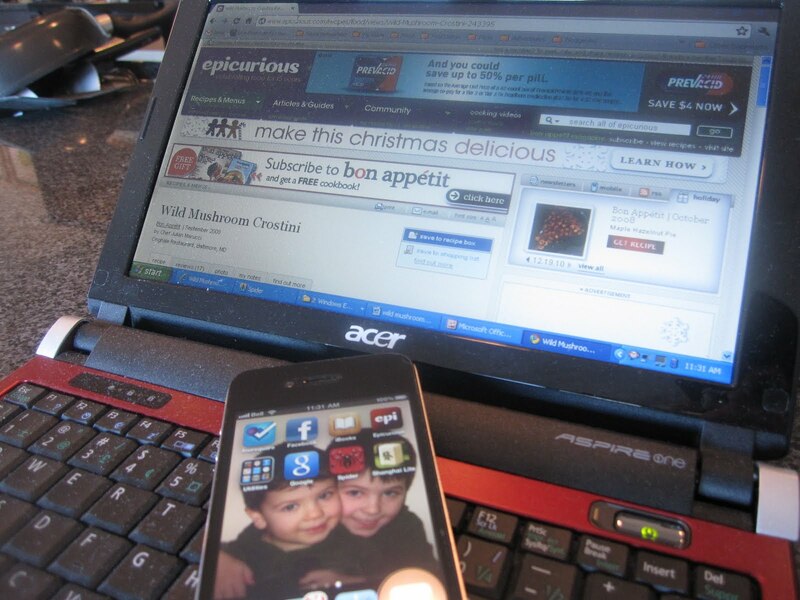 Today, I thought I'd share another great tool - my Apple iPhone 4 Black Smartphone that is resting on my trusty Acer Netbook (which travels with me everywhere - it's light, small and awesome). First - don't you love my background photo - two of the cutest boys anywhere. And my very first real "app" It's from Epicurious.com - and you know I love their site. It costs $1.99 and no -I get no commission, gift or rebate for sharing here. But let me back up a bit. If you're like me, you bookmark great recipes you see on magazine and foodie websites... and then a) never look at them again or b)... and this is worse... can't find them. 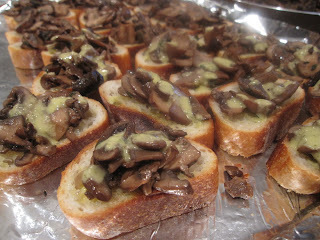 The thing I love best about Epicurious.com is that I have my very own recipe box. It even remembers me when I log in! ... and forward to my iPhone app - complete with recipes and - more important - shopping lists for each recipe, complete with quantities. These Wild Mushroom Crostini were the appetizers to last night's lobster feast. Extra vinaigrette was tossed into the salad - delish! 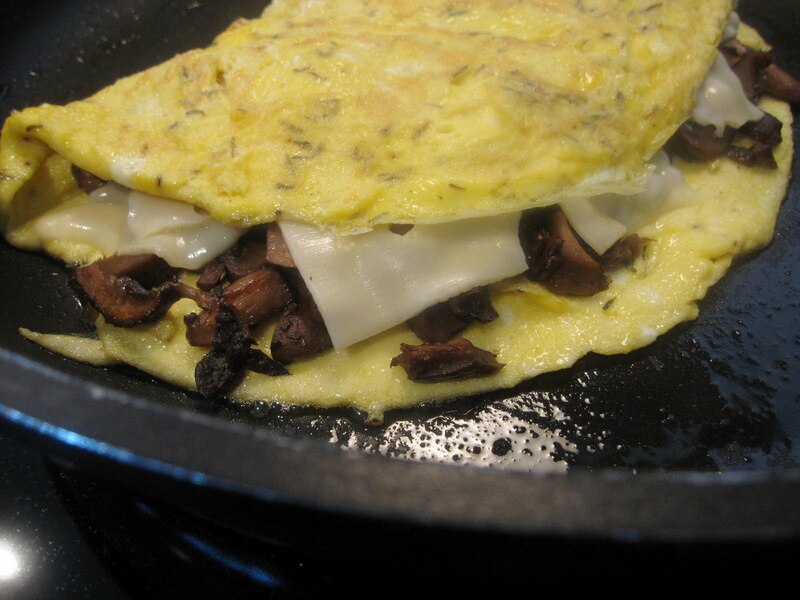 And extra filling made the perfect mushroom & cheese omelet this morning. So what's your latest, greatest foodie app for me to add? I have the laters ITouch and an IPad. Love them both.